Oudtshoorn has established a good reputation for the fine cuisine offered by a number excellent restaurants to be found in and around the town. There are also many value-for-money, family restaurants to cater for those on a budget. 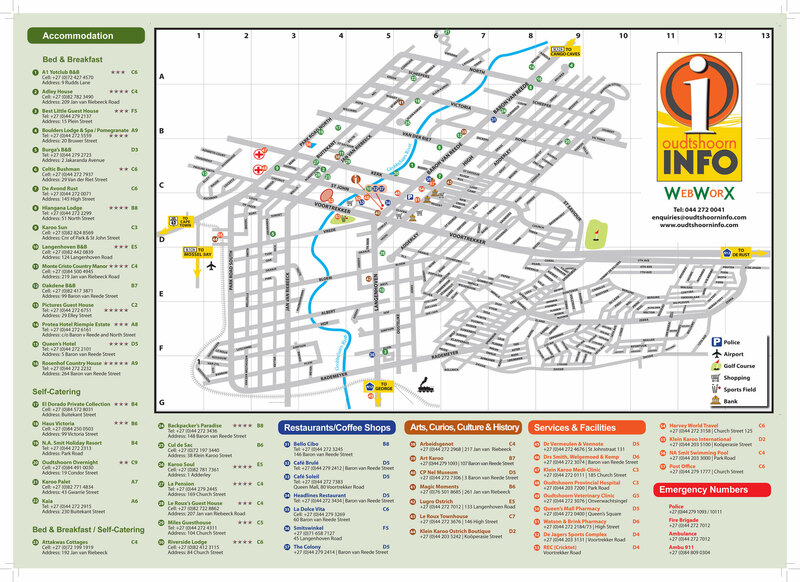 Why not complement your meal with a bottle of wine from one of the local wine estates. Finish off the evening with a multiple Gold Medal winning Port, which is produced in the area. Goeie en bekostigbare ontbyte, ligte etes en koeke. We have a well appointed, fully licensed family restaurant where you can enjoy home cooked meals at affordable prices. Come and enjoy breakfast, lunch or dinner, or just pop in for coffee and a snack. We serve freshly baked homemade scones with strawberry jam and cream, and a selection of salads, sandwiches, cakes and tarts. The seed of generosity had sprouted and grown in leaps and bounds and, today, Mugg & Bean is your home away from home and office away from the office: the perfect meeting place, where you always get more and more. 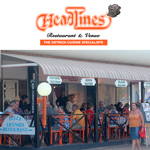 HEADLINES RESTAURANT is the second oldest Restaurant in town. We specializes in Ostrich Cuisine for over 25 years offering the best Ostrich Fillet. heading home or satisfy your appetite at the hotel's own restaurant, which serves breakfast, lunch and dinner. Come and enjoy the best food and atmosphere the Klein Karoo has to offer! Our menu ranges from light meals, pastas, grills, local delicacies, &AMP; our speciality - Ostrich! 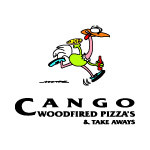 At Cango Pizzas we only carry the freshest ingredients for a better tasting pizza and our oven-baked, homestyle pastas, subs and ribs are simply delicious meals. For enjoyment at home, you will love our traditional take aways. Enjoy a fine local cuisine under the giant ancient Pepper Trees that gave our restaurant its name, while enjoying the great outdoors. Whether it's a cup of African Arabica coffee, a light brunch or a no fat, low cholesterol ostrich steak for lunch, you will find a dish to please everyone. 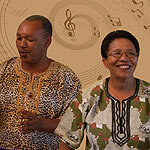 We are situated halfway between Oudtshoorn and the world famous Cango Caves. We offer an exclusive Restaurant where you can relax and watch the tame game while you are enjoying your meal! The river and mountains create a special atmosphere for the guests visiting this popular eating place. Enjoy a scrumptious meal and a well-known Wimpy coffee at the Wimpy. 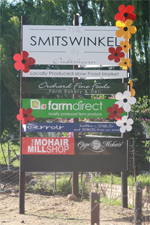 Scrumptious farm-made breakfasts and lunches are being served at our SMITSWINKEL farmstalls in both Oudtshoorn (Langenhoven Road) and on the R62 between Oudtshoorn and Calitzdorp. An unforgettable unique evening of traditional tasty South African food (potjiekos cooked on an open fire) and fabulous live music in the relaxed setting of the home of the performers. We are the no 1 ranked entertainment event in the Western Cape on 'Tripadvisor' and the no 1 ranked attraction in Oudtshoorn. Su Casa Restaurant is situated on Surval Boutique Olive Estate, 4km outside Oudtshoorn, on the left side of the R328, heading towards the Cango Caves. They offer breakfast, high tea, bistro lunch, sundowner brasserie menu, fine dining & picnics. The ideal premises for weddings, conferences & special occasions.